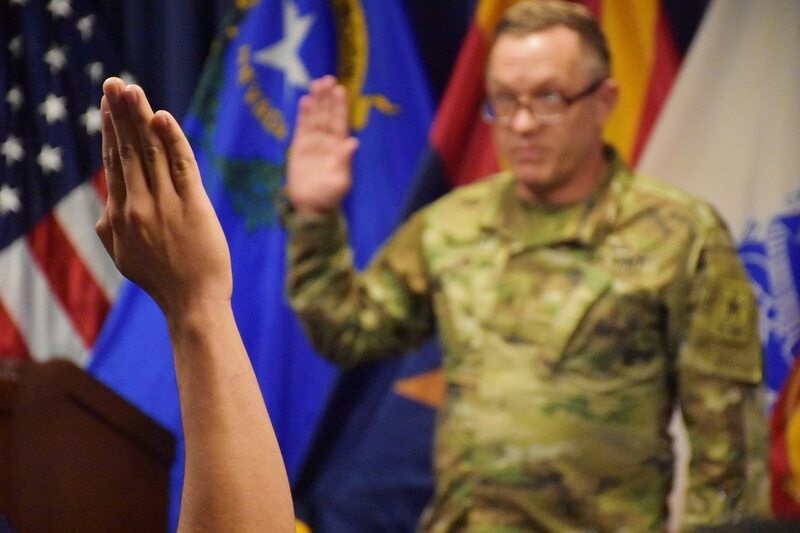 The Army will once again require headquarters approval for some more serious waivers, a reversal of a policy released last August that pushed those decisions down to U.S. Army Recruiting Command. The memo, which went public in November, caused an uproar after USA Today reported that it effectively lowered standards for recruiting. 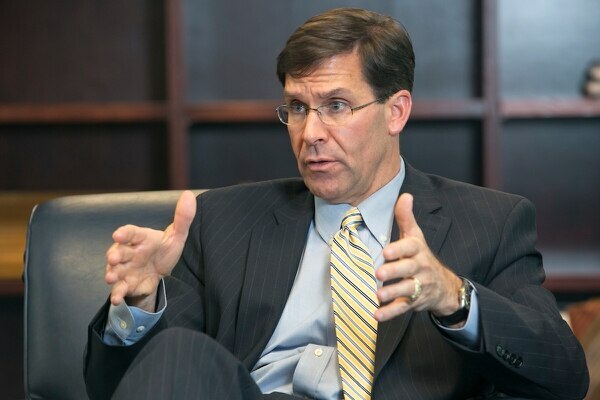 Army Secretary Mark Esper took back control of those waiver decisions in a memo signed on Monday. "The message is, the Army is raising standards because we say quality over quantity any day of the week, " Esper told reporters at the Pentagon. As of Monday, potential recruits seeking waivers for psychiatric or behavioral health conditions, previous medical discharge and misconduct will need to have their packets approved by the Army’s deputy chief of staff for personnel, according to the memo. The standards are the same, per Defense Department instruction. Anyone with a current diagnosis or history of mood disorders, substance abuse, suicide attempts or ideation must seek a waiver. New within the policy, however, is specific guidance for Military Entrance Processing Stations that come across recruits who they think might be self-mutilators. Going forward, there are new criteria to determine whether someone has a “current diagnosis” for this disorder. A recruit is good to go if they had just a single episode before the age of 14 (and no incident within the previous five years); they have no evidence of any other behavioral health issues per their psychiatric evaluation; and they are able to articulate their ability to cope with stressful situations. Further, Esper said, the Army will stop granting waivers for these conditions for Category 4 recruits ― that is, those who score between the 10th and 30th percentile on the Armed Forces Qualification test. “My view is, if I’m going to overlook something in their past, I want to overlook it because they bring something to the table in other areas,” he said of recruits in the 3A category and up. Earlier this year, the secretary ordered that the Army reduce its intake of Category 4 recruits to no more than 2 percent, half of DoD’s prescribed limit. Esper, who took office following the 2017 waiver controversy, said he felt that the Army needed to adjust the waiver authority hierarchy. “We think, upon review ― and again based on my feelings ― in some of these cases I want to bring it back up to a higher level review, because I want to see the effects of this whole person concept,” he said. His office has plans to track data on soldiers who come into the service with a waiver. “We aim to kind of track, in raw terms, the performance of persons with waivers, and really understand better how they perform in the long term,” he said. The hypothesis is that higher-quality recruits will cause fewer problems and stick around longer. “It could be in the future that you recruit fewer soldiers because you have less attrition,” Lt. Gen. Thomas Seamands, the Army deputy chief of staff for personnel, or G-1, told reporters. And, Esper added, it could lighten the burden on leaders who lament that, “I spend 90 percent of my time on 10 percent of my soldiers,” due to misconduct or other issues. In total, leaders estimate that about 1,000 recruits out of 140,000 total accessions a year will require their waivers to go through headquarters approval. That is a margin they’re willing to risk. “Yes, in fact I think it will. And I’m fine with that,” Esper said of the likelihood the policy will reduce accessions numbers. “The chief of staff and I are fine with losing a few soldiers over this. ... I don’t think it will have a major effect on doing what we need to do."